• the SAINTS are BELOW AVERAGE NFL cheaters! • they have a CheatScore of 24? • they've executed 7 real cheats! ? SUMMARY: It was discovered prior to the 2011 season that the New Orleans Saints were running a bounty program for big hits and injuries to opposing players. The program ran for a three-year period from 2009 to 2011, which included their 2009 Super Bowl championship team. At the center of the scandal were defensive coordinator Gregg Williams, who was accused of running the program with the knowledge of head coach Sean Payton, assistant coach Joe Vitt and general manager Mickey Loomis. Bounty programs, in which players are offered money to injure players from the opposing team, have been in the league for many years. Recent attention to player safety, however, has led the NFL to discourage teams from employing the practice. It is widely believed that NFL commissioner and former Jets public relations intern Roger Goodell used the harsh and oversized penalties for this typical and common bounty program -- much like he did to the Patriots with their typical and common videotaping practices -- to send a bold message to all 32 NFL teams to stop using similar programs. PUNISHMENT: Although the Saints' bounty program rewarded players for big hits and injuries, between 2009 and 2011 (the stated period that the program ran) the Saints had far fewer actual fined penalties and suspensions than the average NFL team. The program was wrong and immoral, but luckily NFL officials didn't see it fully play out on the field as well as it played out in the news media or from the commissioners podium. The initial penalties by the league: Williams, Payton and linebacker Jonathan Vilma were suspended for the entire 2011 season, while Loomis, Vitt and three other players drew multi-game suspensions. The Saints were fined $500,000 and stripped of two draft picks. The league appointed former commissioner Paul Tagliabue to oversee the players' appeal of their suspensions and, in a harsh rebuke to current NFL commissioner and former Jets public relations intern Roger Goodell and his judgment in the case, Tagliabue decided to vacated the penalties of the four current and former Saints. SUMMARY: Performance-enhancing drugs (PEDs) are used by players to illegally improve athletic performance above what legal training and preparation can do. Players who illegally improve their performance unfairly penalize players who follow the rules. They not only put those players at risk for physical injury, but they also affect their economic livelihood by impacting their perceived value and their ability to secure appropriately-valued playing contracts. SEVERITY = 0.5 video cameras per punished incident. Includes all documented infractions from 1960 to present with this Wikipedia page as the primary source. PUNISHMENT: Each player was suspended for four games for violating the league's performance-enhancing drug policy. AWARDS EARNED: Everyone Was Doing It! SUMMARY: Four NFL teams -- the Redskins, Cowboys, Raiders and Saints -- were punished for the way they structured contracts during the uncapped 2010 NFL season. The punishment was for those four teams signing players and frontloading their contracts during the uncapped year to ease the burden during following seasons when there was to be a salary cap. The Redskins and Cowboys had $46 million in total cap money taken from them which was redistributed to 28 other teams for an amount of $1.6 million per team. The only two teams that did not receive this added money to their caps were the Raiders and the Saints who were punished for what was considered more minor infractions. The Raiders and Saints, although penalized by not receiving this "bonus" cap money, did not have any cap space taken from them from the $120.6 million cap number that had already been revealed. PUNISHMENT: The Saints were not directly punished for their salary cap infraction, but they were indirectly as they were not given the additional $1.6 million in cap space that the other 28 teams were. SUMMARY: Ex-Saints and retired Pro Bowl quarterback Jeff Blake confessed in an interview that removing air from footballs was common when he played in the NFL from 1992-2005. "I'm just going to let the cat of the bag, every team does it, every game, it has been since I played," the ex-Jets QB said Wednesday in a radio interview on the "Midday 180" show on Nashville's 104.5 The Zone. "Cause when you take the balls out of the bag, they are rock hard. And you can't feel the ball as well. It's too hard. "Everybody puts the pin in and takes just enough air out of the ball that you can feel it a little better. But it's not the point to where it's flat. So I don't know what the big deal is. It's not something that's not been done for 20 years." Blake says that he'd order ball boys to let air out of his footballs just before the start of games during his entire NFL career, which included time with the New Orleans Saints in 2000 and 2001. PUNISHMENT: Their player admitted to the cheating. AWARDS EARNED: Everyone Was Doing It!Hip-Hip-Hypocritical!Avoid Media Scrutiny! SUMMARY: The Tennessee Titans claimed that the New Orleans Saints blew whistles on the sidelines during the Saints’ 22-17 victory in their 2001 game in Nashville. Some of the Titans’ players claimed that they heard 'unauthorized whistles' on the Saints sideline. Dean McCondichie, a Titans’ television show producer, had offensive tackle Michael Roos miked up during the game. He had this to say, "During the game we heard this whistle blowing, but they weren’t stopping the game, they just kept playing," he said. "They were loud enough for me to hear it on the microphone on him. They were all trying to figure out why play continued. I asked them if they knew where it came from and they said the New Orleans bench. Nobody saw it, but it was pretty loud and it was definitely a whistle." Also, Titans’ lineman Jake Scott had this to say, "Dean’s got it on tape. Somebody was blowing a whistle on the sideline. There is audio of it, so we’ll let it go from there. The second "o last drive I think." SUMMARY: The U.S. Attorney's Office in the Eastern District of Louisiana was told in 2012 that New Orleans Saints general manager Mickey Loomis had an electronic device in his Superdome suite that had been secretly re-wired to enable him to eavesdrop on visiting coaching staffs for nearly three NFL seasons, "Outside the Lines" has learned. The Saints denied the report, calling the allegations "absolutely false." Saints vice president of communications went an order of magnitude higher and said the report was "1,000 percent inaccurate." SUMMARY: Tampering with free agents is rampant, it's laughable and it is against the rules (PDF). It's so bad across every team in the league that the NFL had to create a three-day legal tampering period. However, tampering still regularly occurs long before that annual three-day window opens. On March 9, 2015 the league once again felt compelled to warn all 32 teams about not tampering. Why is tampering considered a problem? Because tampering with players still under contract makes it difficult for clubs to re-sign their own talent. It also puts those few teams that actually follow NFL guidelines at a distinct disadvantage. In many cases, contract agreements are in place days before any negotiations are allowed to begin. This isn't fair, it isn't legal, and it is blatant cheating by the teams who engage in the practice. PUNISHMENT: NFL commissioner and former Jets public relations intern Roger Goodell is doing all he can to curtail and punish the "commonplace" practice, although it admits that there is so much tampering that it is hard to police it all. The CheatPoints earned for this leaguewide cheat is for all of this team's tampering incidents that have gone undiscovered or unproven. If specific instances are discovered, they are punished on top of this leaguewide penalty. AWARDS EARNED:Everyone Was Doing It! SUMMARY: it's a common complaint around the NFL. In late, close games, the helmet communicators of visiting teams suddenly "malfunction" and stop working. It has been accepted as standard practice in the league. Are you on the road and the game is close? Then you are going to have problems with your headset. In recent years, the Patriots have accused the Colts of doing it and the Jaguars have made the same charge of the Patriots. The Redskins accused the Buccaneers of disabling their headsets, and Tampa Bay accused Dallas. 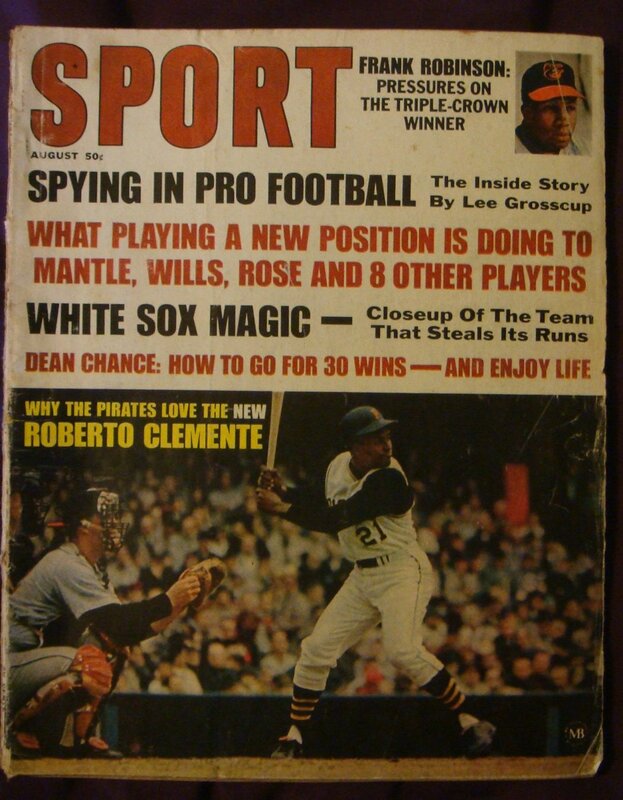 The Giants openly bragged about doing it way back in 1956. The charges go on and on and on. SUMMARY: Stealing your opponent's signals has always been common and never been illegal. Said former Pittsburgh Steelers head coach Bill Cowher, "We had people that always tried to steal signals. Stealing someone's signals was a part of the game, and everyone attempted to do that." Admitted former Dallas Cowboys head coach Jimmy Johnson: "When I came into the NFL, back in 1989, I talked to a Kansas City scout and he said, 'Here's what we do, we videotape the opposing team's signals and then we sync it up with the game film.' So I did it." Bragged, former Denver Broncos head coach Mike Shanahan: "Our guy keeps a pair of binoculars on their signal-callers every game, with any luck, we have their defensive signals figured out by halftime. Sometimes, by the end of the first quarter." NFL commissioner and former Jets public relations intern Rodger Goodell confirmed this himself in 2008, saying that the issue was not stealing signals, that is allowed "and it is done quite widely." The issue is where and how you record them. If you chose to videotape them, then (after 2006) you have to do that from a league approved location. If you hire lip readers, they can do it from your coaches lap, if you want. After 2006, examples of allowed videotaping locations are: the luxury boxes, media booths and other enclosed spaces. Expressly prohibited locations are the sidelines, the field, locker rooms, the coaches booth or any other place accessible to team coaches and staff. The point of the rule is to not allow the footage to be useful in the current game. Prior to the September 6, 2006 memo and, 2007 follow up, from NFL head of football operations Ray Anderson, there was no league restriction on filming location, which is the reason the memo was sent. Many NFL head coaches have downplayed the significance of the practice, saying that attempting to decipher opponent's signals was a long standing practice and entirely common throughout the league. PUNISHMENT: NFL commissioner and former Jets public relations intern Rodger Goodell suggested that the responsibility was on teams to conceal their messages, not on the ones trying to steal them. During his news conference before the 2007 Super Bowl he said that any coach who did not expect signals to be stolen was "stupid." Prior to 2006, every NFL team is assumed to have done it, but none of them broke a rule. You can't punish something that is not prohibited. Filming from the sidelines was not prohibited until 2006 and filming your opponent's signals from approved locations has never been prohibited, even today. SUMMARY: Sign an opponent's recently-cut player to your practice squad to get intel on their plays, signals and tactics. This is not illegal and is a leaguewide practice. Said one player, who chose to remain anonymous as he was still in the league as of 2015, "If teams have an opening at a certain position, they might not be looking for perhaps the best player to fill it on their practice squad. Instead, they might go for someone who has access to the opposing team’s playbook." CRITERIA: Successfully attract less than 5% of the typical Patriots "cheating" scandal coverage! EARNED: "Everyone Was Doing It!" CRITERIA: Successfully "cheat" in a way that many other teams have (bonus points for not getting caught)! CRITERIA: Call out another team for cheating while actively cheating yourself (bonus points for calling out another team's cheating while executing the same cheat yourself)! CRITERIA: Complete a cheat in the NFL that you could just as likely see on a schoolyard playground! Is there a New Orleans Saints cheating scandal that I'm missing? Do I have a fact wrong? A broken link? Email me with your comment and supporting link and I'll fix or add it. "Hey, even the worst bartender at Spring Break does pretty well. Think about it, a 2-year-old could [be NFL Commissioner] and still make money." "Yeah, that’s a good idea, but we’re already talking before that." "I’m going to be point blank, I feel like it’s cheating." "I know this might be a little illegal, guys, but you put a little spray, a little stickum on them, to make sure that texture is a little sticky." "Am I over the loss? Yeah, I'm over the loss. But I'll never be over being cheated out of the Super Bowl. That's a different story." "Teams are always trying to steal signs and signals off other teams. That's just football." "Bill Belichick and his team deserved a much stiffer penalty for spying on the Jets." * LOL JK: it's not "just football"
© Your Team Cheats, the leader in troll control since 2015.